Poland has summoned the US ambassador to apologize for remarks in a Washington Post article, in which FBI chief James Comey alleged that Warsaw was complicit with the Nazis in the Holocaust, according to remarks made on Sunday. The article by FBI director James Comey was published in the Washington Post and adapted from a speech he gave at the US Holocaust Memorial Museum on April 15. “In their minds, the murderers and accomplices of Germany, and Poland, and Hungary, and so many, many other places did not do something evil. They convinced themselves it was the right thing to do, the thing they had to do,” Comey said. Poland said that his words wrongly implied that Poland was complicit in the murder of millions of European Jews. Poland was occupied by Germany at the beginning of the Second World War and lost millions of citizens including 3 million Polish Jews. Warsaw was also razed to the ground after an uprising in 1944. The Polish Foreign Ministry also said it would give the US Ambassador Stephen Mull a protest note demanding he apologize. Mr. Mull sought to limit the damage of Comey’s remarks Sunday and said it was not the FBI director’s intention to offend the Poles. After a meeting with Polish Vice Minister Soczewica, Mull made clear that the statement by the FBI chief was in no way the official position of the United States. “I have assured him that it's not the official position of the United States of America. 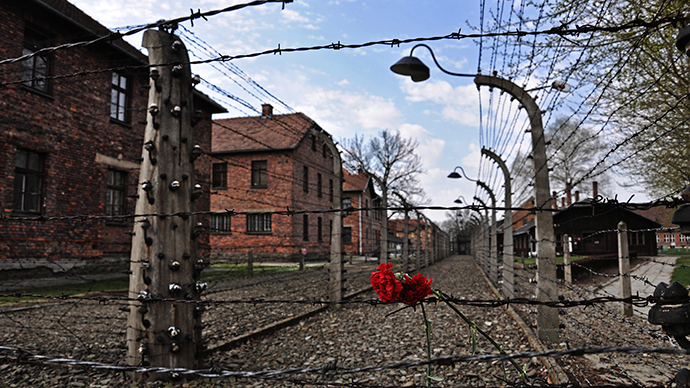 We believe that Poland had no reason to be responsible for anything that happened during the Holocaust. It was exclusively the work of Nazi Germany,” he said. Poland takes pride in the fact that it had one of the strongest anti-Nazi resistance movements of the war and that it has the highest number of the ‘Righteous Among the Nations’ – people who are recognized by Israel for their sacrifices and efforts to save Jews.